Update 3: Google Play now allow Indian user to pay via Netbanking. You can now pay for games, apps, books, movies, music from Netbanking. Update 2: According to RBI Guidelines, Merchant has to use the 2-way authentication to make payment from Debit Card. Both Google Play & Apple Store need to change their implement to meet the RBI Guidelines. Uber facing the same problem, they resolved it by partnering with PayTM Wallet. Update: Looks like Debit Card users facing the problem with other International sites like Amazon, Paypal etc. Since last month, I was facing an issue with my Axis Bank Debit Card (VISA) on Google Play store. Google Wallet rejected my VISA Debit card and after that, I’m not able to add any VISA debit card on Google Wallet. I contacted my bank and Google Help support. however, I did not get a proper response. Yesterday when I tried once again and I got a proper reply from Both Axis Bank & Google Support. Both confirmed that this failure is due to change in Google Wallet System, Axis bank Visa Debit card will not work on Google Play store. We need to inform you that, due to the current change in the Apple store and Google wallets currencies being displayed in INR, we are facing an issue at our backend. It seems it’s not problem with Axis Bank only, many other bank debit cards are also not working. Check the list below which bank debit cards are working and which are not. Get International Debit Card or Credit Card from your bank with International usage enable or You can buy the Google Play Gift Card. This is a big blow for the users (including me) who using Debit Card on Google Play Stores and Apple app store. I hope they’ll resolve the problem as soon as possible. Let us know whether your Debit card is working or not by commenting below. i want to pay $25 to google using OBC visa electron debit card this is not done. Why? ICICI platinum International Debit Card does not work ! Hello..Mr. friend ..iam using federal bank international emvchipcard based visa debit card ..iam already activated international transaction àtm .and online purchase ..iam already did some purchase..iam living in Saudi.but Google play store purchase not acceptable why..??? ?what is the solution…pls.. anything have..?? ?which address I give to purchase India or Saudi address. It will work…. did you activate card for international transaction???? if not, just open imobile app, go to card services and activate card for international usage… within 5 to 30 minutes it will get activated. I used silver, paywave and master cards on play store. I am not getting any options for activating international transaction in the card services menu ! I have BOB debit card international usage though it is not accepting and just one error is shown INVALID CARD NUMBER. Even SBI cars not working. If you’re Idea Subscribers, now you can pay through carrier billing. The Payment will deduct from your phone balance. My SBI debit card is not responding with the Google play store. Actually Google play is not accepting my SBI card. Please resolve this issue soon. Hi, I have an Allahabad Bank visa Intl Debit card and I am also facing the same issue on Google play store and Steam store. Is there any way of resolving this? Thanks Arijit and Your Very Welcome.I hope you enjoyed it. Yes It is a Handy App !!! Bhai, I did as exactly as you’ve said. But, while adding money to the google wallet it says card is invalid or incorrect which is provided by digi purse app. I am really frustrated with this, tried everything nothing has worked. Is there any solution to this?? Hi Shoaib, You do not need to be frustrated. If your card is not working then you can buy Google Play Gift card from Snapdeal and add the money from Google Play store. After that, you can purchase apps, games, music, movies etc. Raza Rahil Hussain, Bro i am trying to add money to the google play store. I Couldn’t do it from my Canara Visa debit card. So i chose virtual credit card that is digi purse as Arjit Dasgupta said above, and I’ve added money something around 1000 already to digi wallet but i am not able to add that amount to the google wallet. Looks like that amount is wasted, so i don’t want to waste again my hard earned money lol. Guys who are unable to purchase their beloved apps and games download digipurse from playstore from union bank of india. It carries a virtual credit card which can be used internationally.Using the app eversince it came out.but remember for activation of card initial amount should be 500.Handy app !!!!! For me, HDFC Platinum card is working (after enabling International usage). Union Bank of India EMV VISA debit card also works smoothly. PNB Platinum Card not working even after enabling international transaction. Same is the case with SBI. Despite having EMV Master Card, it doesnot work. My Axis bank EMV card is working flawlessly. No they don’t. Mine doesn’t ! hdfc bank debit card not accepting. I want to know about Googlewallet.Which Bank is accepted by Googlewallet. 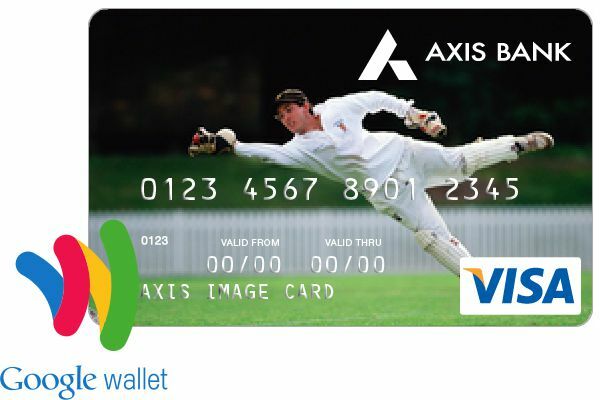 please tell me name of your axis bank card which works on google wallet. Hi, Can u tell me if SBI Credit card(VISA Linked) will work on Google Play Store for in app Purchases? I am thinking of taking a credit card from SBI. Please Confirm. Thanks. Google play store not wrrking my axis bank visa debit card. I am trying to buy app from Google play store using Deutsche Bank’s VISA card, but its not allowing…. Now some of the entropay users are reporting that their virtual visa cards aren’t working with Google Wallet. My hdfc debit card is not working on google playstore.. while adding carf details it says invalid card no. My card works finw with other apps like paytm etc. ICICI debit card worked for me on Google Play Store. My ICICI visa debit card is not working. Do we have to enable international payment separately? Yes…..just open imobile app, go to card services and activate card for international usage… within 5 to 30 minutes it will get activated. Just wanting to confirm before i create an account with entropay; does it works ? Thank you. Just worked seamlessly. Bought poweramp and some other apps instantly. I just confirmed today… the cards r still not working. I even tried the master card of SBI unfortunately this problem is still there. I am having citibank Maestro debit card and it does not work on Google play for registering developer account. can i open google play developer account using entropay virtual card google wallet accepts entropay virtual card or not please give me reply …………………………. Few HDFC debit card working in Play Store. Then how will i get to read free books from google books. My Citibank debit and credit card and HDFC credit card are all accepted without a problem. the only issue i am facing is with my SBI Maestro Debit card. i believe it is because of the Non implementation of 3D Secure Mode Transactions withing the Google network. I Tried using my Bank of baroda gold master card,but was of no use . keep getting a message invalid credit card , then i contacted my bank n they said my card is activated online but still it wasn;t working, so i went to the bank and came to know that from 1st august onward for making any online purchase your debit card needs to have a chip system, which not introduced in india yet. I tired my UK debit card transaction went smooth . Lekshmi Vilas Bank debit card is working. where it is working in itunes? No Virtual Card won’t work. i’ve read an article it says it works. Canara bank is working in apple store. SBI Visa debit cards are not working. Got an HDFC Visa credit card that works! Epic Work, Thanks! I have tried many banks… thank you again for informing supporting bank list. Trying to purchase Swift Key with Axis Bank visa card but no joy! The card keeps comming up as invalid CC. I am so pissed off that such a big company like Axis bank can make it so bad for us! The problem is not with Axis Bank only. All banks having the same problem. Also my Union Bank (Visa) and Federal Bank (Master Card) is not accepting. My axis and SBI visa card was also not recognised. hi,I have tried using my icici debit card it says invalid card.so please help me how your card got accepted.And just tell me what your card is eg:Platinum visa or Gold etc.And just please tell me have you requested any thing to be done by ICICI Bank. Yeah my ICICI platinum visa debit card is also not working for Google. Can anyone pls tell which card worked recently and proper details of the card like which bank and was it visa or mastercard? Pls help, which card works now?? Hey, Try HDFC Bank Debit Card. which bank debit card google can accept ?? if any one success in this than plz give me detailed answer… I have faced so many troubles to add my debit card on google wallet.